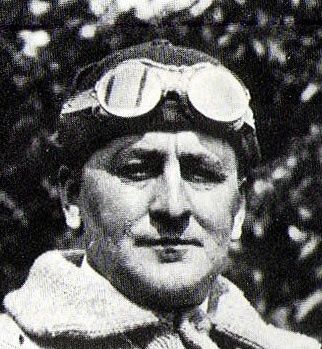 Harry Grant was the first racecar driver to win the Vanderbilt Cup twice – and the only one who died trying for the Astor Cup. The Vanderbilt Cup, ‘the great Long Island race,’ was the first major trophy in American auto racing and a major international sporting event. Grant didn’t drive in his first race until 1907, when he was 30 years old, but quickly established himself as one of the finest racecar drivers in the country. Harry Grant was born in Cambridge, Mass., on July 10, 1877. His father was a mining engineer who was killed in a mining accident in Colorado when Harry was young. His first automotive job was with the Stanley Brothers. He jumped to Locomobile, then to ALCO in its Providence, R.I., factory. He moved up to salesman at an ALCO dealership in Boston and immediately began pestering his boss to get into racing. He made his racing debut on the dirt horse track at the famous Readville Race Track in Boston, where some of the best racing in the country was held. He finished first in the shorter race and second in the longer one. Within a year he was ranked among the best drivers in the country. He was especially good at climbing hills. In 1908 and 1909, he won 20 out of 20 hill climb races. The high point of Harry Grant’s career came a year later, when he won his second consecutive Vanderbilt Cup. For the next few years he continued to race, finishing well in the Indianapolis 500, which was rapidly becoming the most important race in America. On Sept. 27, 1915, Harry Grant practiced for the Astor Cup on Long Island in a Maxwell racer. While speeding at 100 mph his car burst into flames and he was badly burned. Ten days later, Harry Grant died at the age of 38. With thanks to the Vanderbilt Cup Races blog.